In what may be the best use of AI by an ad agency to date. 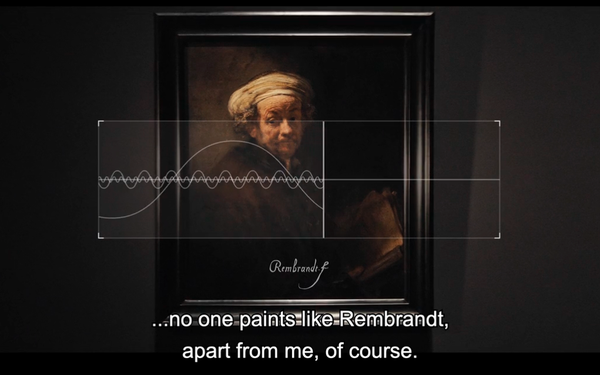 JWT Amsterdam has used it to literally resurrect the voice of one of the greatest Dutch masters: Rembrandt. To help commemorate the 350th year since his death, JWT used advanced data and technology to reverse engineer forensics used to match people’s faces to their voices. Working with experts from Pittsburgh's Carnegie Mellon University, the agency recreated Rembrandt’s voice from portraits of his face, enabling new generations of art students to learn directly from the master, in his own (albeit synthesized) voice. Hear for yourself in the video below. The Rembrandt Tutorials Campaign Film – English Version from J. Walter Thompson Amsterdam on Vimeo.